where attendees can explore different mediums to create unique and personal art. 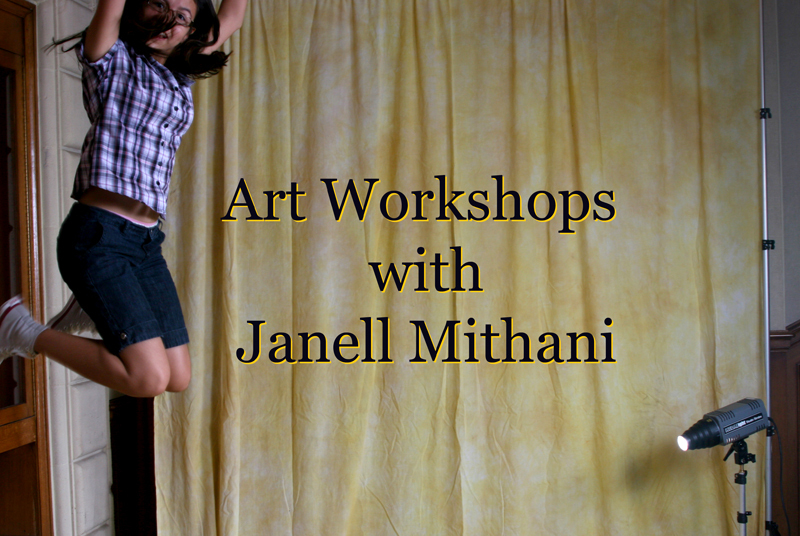 I teach art workshops for children, teens and adults. Workshops can be a one time, week-long, or a once a week/month workshop. It is so great to watch a student find their creative spark while exploring a specific art medium. I currently teach workshops in the Greater Los Angeles area and private lessons in my studio. I also offer programs at libraries, Girl Scouts, specialty art shops, and other community organizations. Please contact me if your organization is interested in a program to discuss the details. I provide professional lectures and speaking engagements for the professional art and photography arena, artist groups, colleges and universities. After 25 years as a professional artist and photographer, I enjoy sharing my expertise and experiences in the art and photography business. I provide guest lectures and speak to students for career days. I also travel for speaking engagements, many times combining an art workshop with a speaking engagement. Please contact me to discuss the interests of your group as I really enjoy speaking and getting to know your creative community.